Trusted legal representation from an experienced lawyer. Why choose attorney Jacqueline Zabresky? Attorney Zabresky has 18 years of legal experience. She concentrates her practice on family law matters including divorce, equitable distribution, division of assets, marital settlement, alimony, spousal support, child support and child custody. She also handles adoptions, grandparent's rights, visitation matters, name changes, prenuptial agreements and postnuptial agreements. Other areas of practice include consumer bankruptcy and estate planning including wills, living wills and powers of attorney. Attorney Zabresky's preparation is meticulous. She takes the time to actively listen to the details of her client's situation. By fully understanding her client's position, attorney Zabresky develops a legal strategy to protect what is most important to you. You will work directly with Jacqueline Zabresky throughout your case. Your legal matter will not be delegated to an associate or paralegal. Attorney Zabresky understands the stress that your situation may cause and therefore she promptly returns telephone calls and emails. 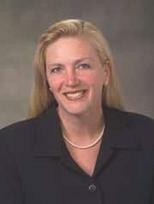 In addition to her litigation experience, attorney Zabresky is skilled in alternative dispute resolution methods such as mediation, arbitration and collaborative law. Jacqueline Zabresky represents clients in Luzerne County, Lackawanna County, Wyoming County, Carbon County, Bradford County, Columbia County and surrounding counties. Her office is conveniently located on Public Square in Wilkes Barre, Pennsylvania, next to the Kirby Center for Performing Arts. Attorney Zabresky works hard to find a favorable solution so you can move on with your life. Contact the Law Offices of Jacqueline Zabresky by telephone at 570-285-4999 for your free initial consultation.